3. Go to the download page and right click on Download (rpm) (Online) button to copy the URL of the AhsayOBM installer. 4. Use the curl command to download the AhsayOBM installer from your backup service provider’s website onto the Linux machine. 5. Run the rpm command to install AhsayOBM. 6. Check if AhsayOBM is installed properly. 1. 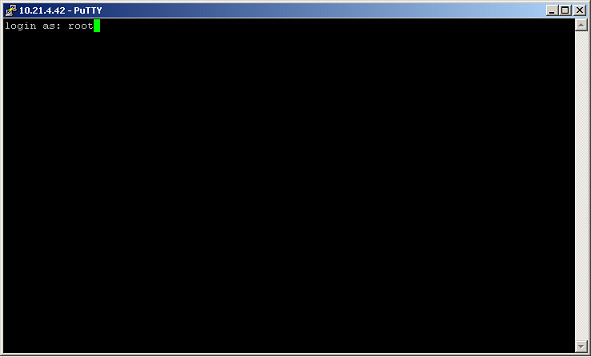 Login to the Linux machine via a ssh client using the root account. 2. Create a new directory to install AhsayOBM. 4. Go to the download page and right click on Download (sh) (Online) button, then Copy Link Address to copy the URL of the AhsayOBM installer. 5. Execute the curl command with the copied URL to download the AhsayOBM installer from onto the Linux machine. 7. Add executable permissions to the AhsayOBM install script. 8. 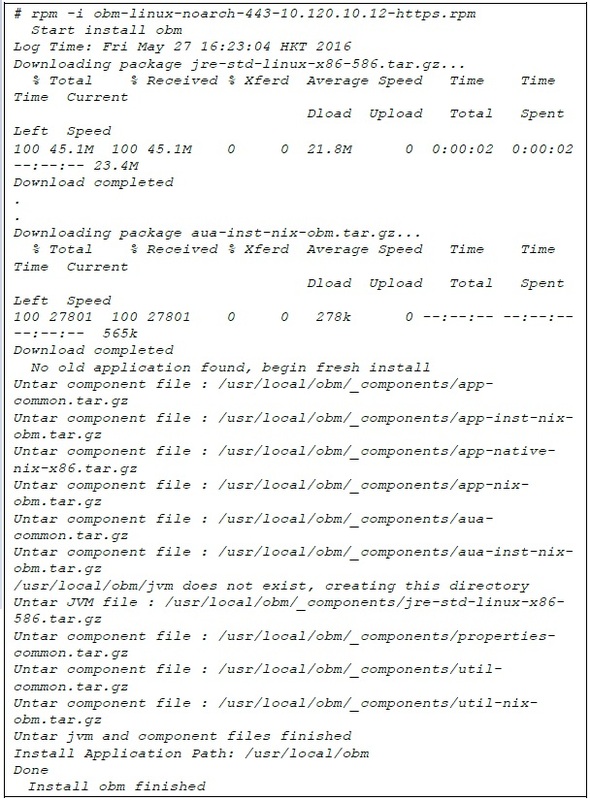 Execute the AhsayOBM install script. And the installation is completed when Done shows at the end of the script. 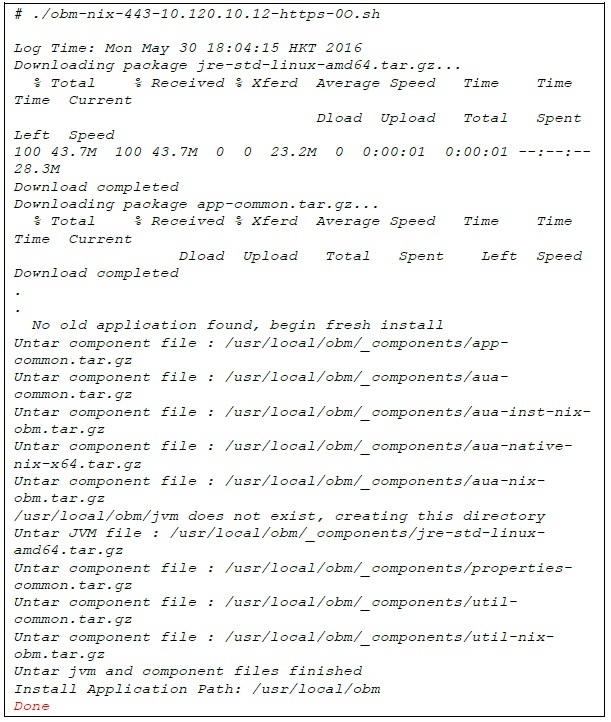 Note: The .sh script file should be placed under the directory path which you want to install the AhsayOBM application. 1. Login to the Ubuntu Linux machine via a ssh client using the root account. 3. Go to the download page and right click on Ubuntu [Download] button to copy the URL of the AhsayOBM deb package installer. 4. 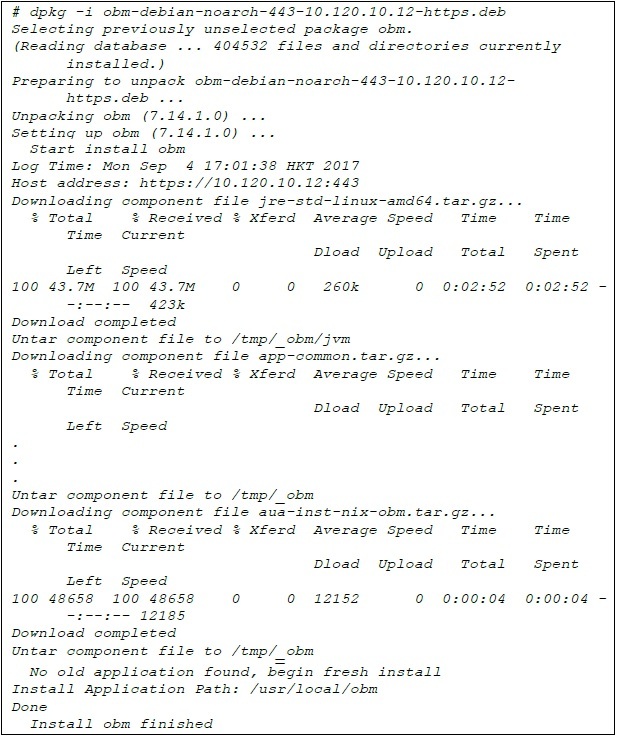 Use the curl command to download the AhsayOBM installer from your backup service provider’s website onto the Ubuntu Linux machine. 5. 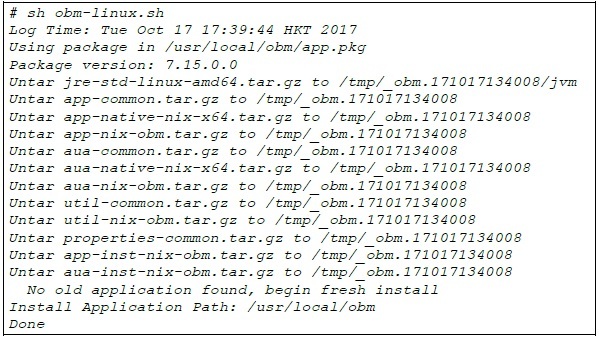 Use dpkg –i to install AhsayOBM. 4. Go to the download page and right click on Download (sh) (Offline) button to copy the URL of the AhsayOBM installer. 5. Use the wget command to download the AhsayOBM installer from your backup service provider’s website onto the Linux machine. 6. 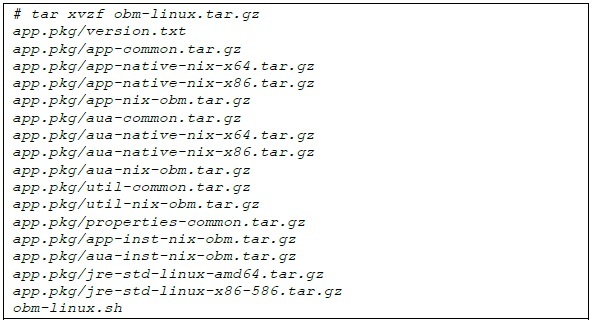 Use the tar command to extract the individual components from the tarball. 7. 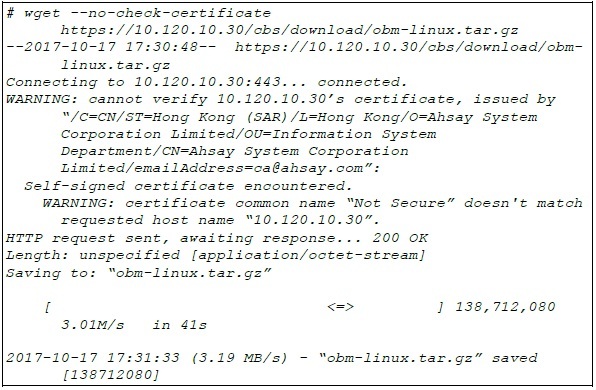 Run the obm-linux.sh script to install AhsayOBM. When completed successfully AhsayOBM will be installed in the following location /usr/local/obm.